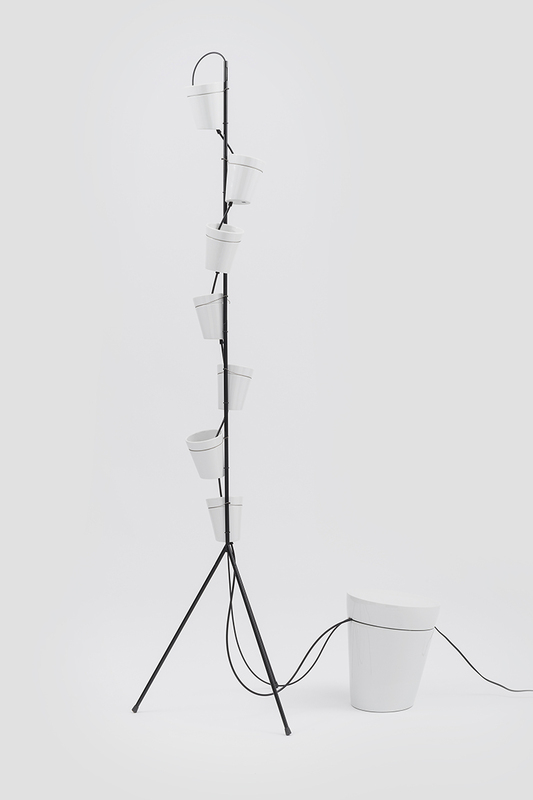 Window garden self-standing is a system of seven, overlapping, high-pressure cast white porcelain vases mounted on a thin, metal, tripod base. 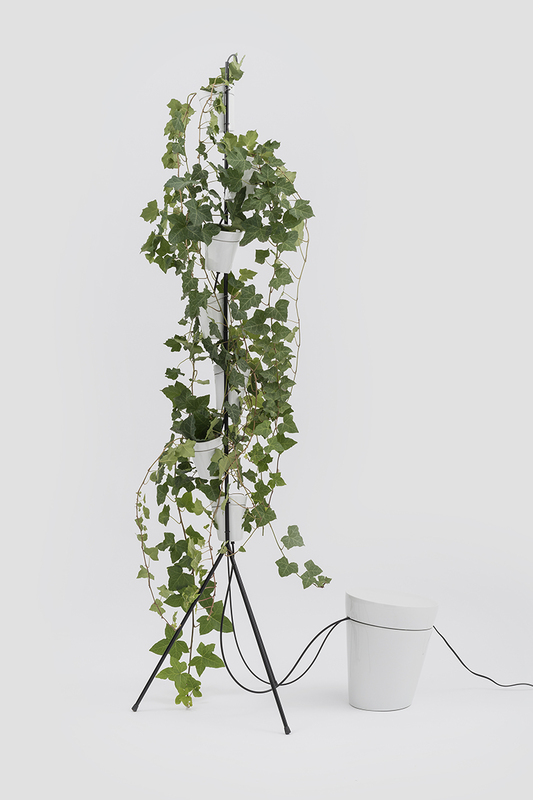 The vases themselves are designed to allow for hydroponic cultivation. 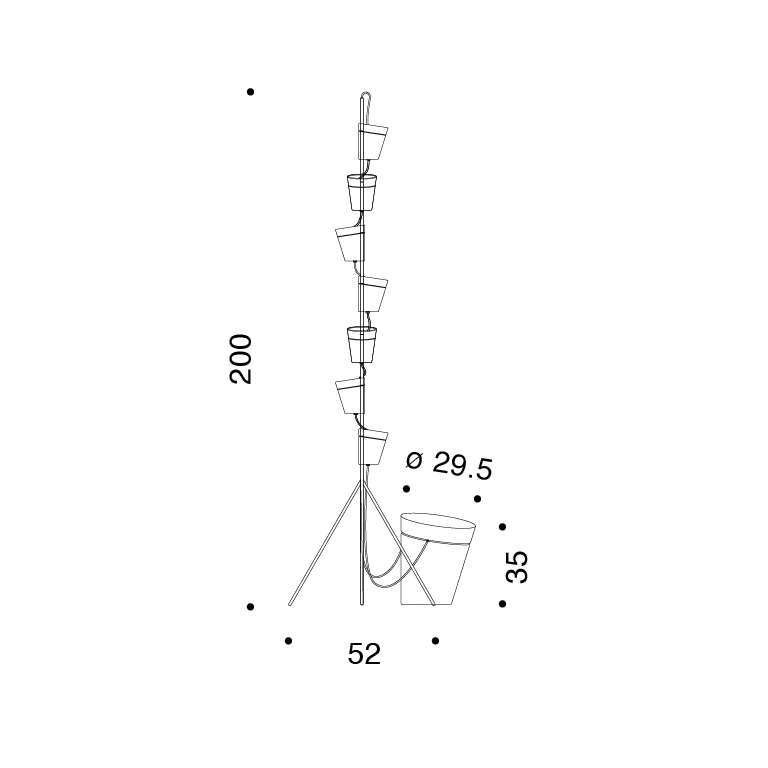 The piece reworks the idea of the “vertical forest” but on a domestic scale.